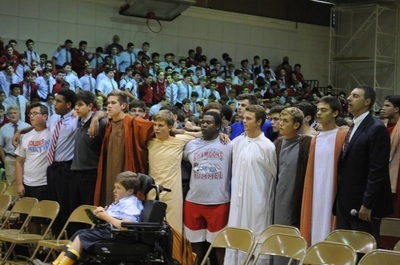 Thursday afternoon the Campus Ministry team, run by Campus Minister Mr. Matthew Caire '03 and chaplain Fr. 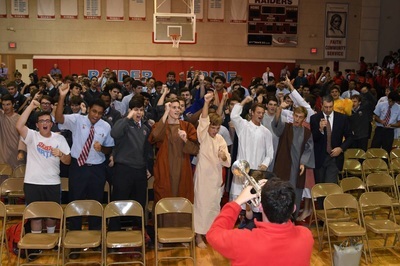 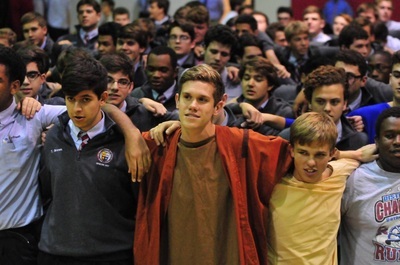 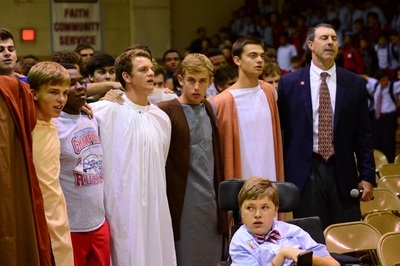 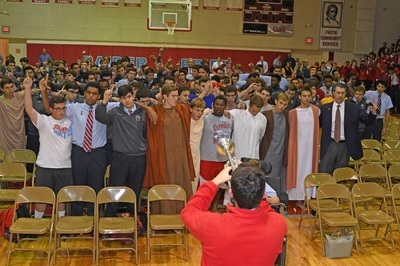 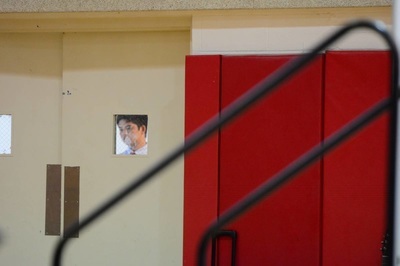 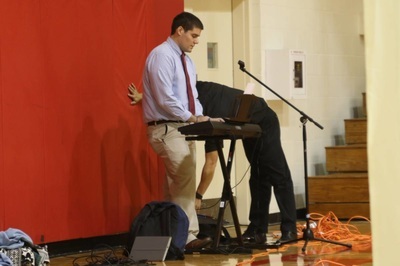 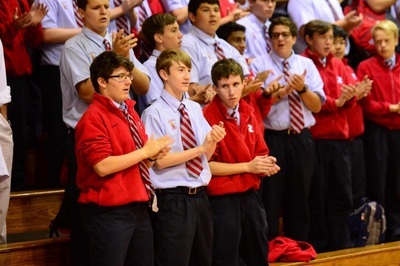 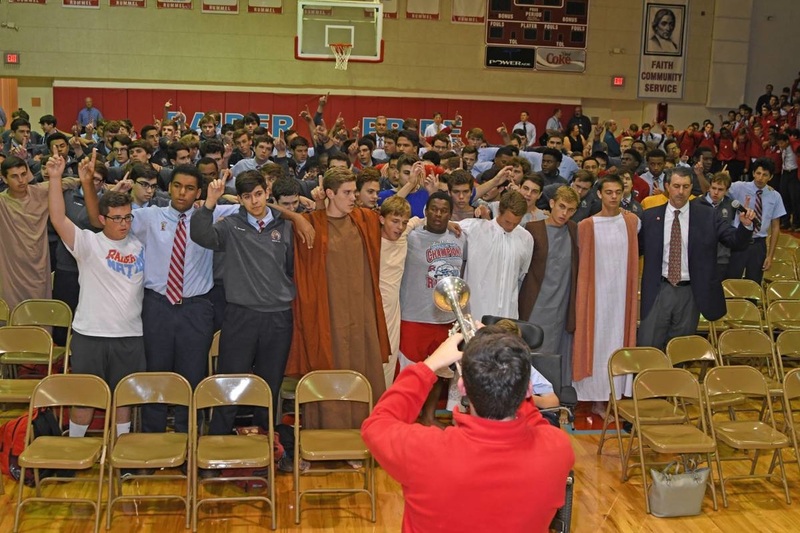 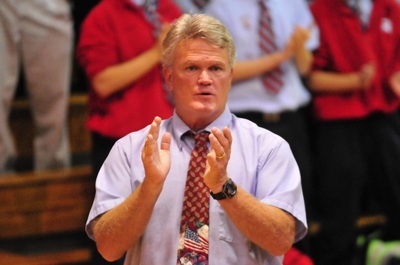 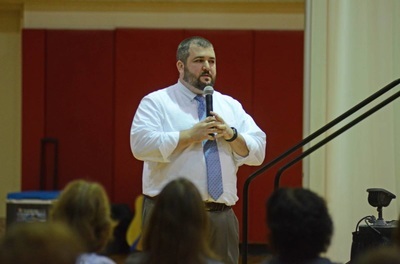 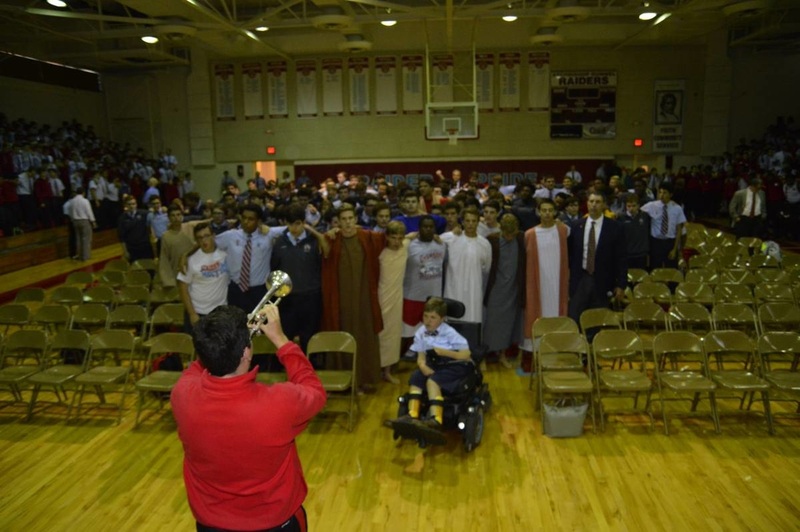 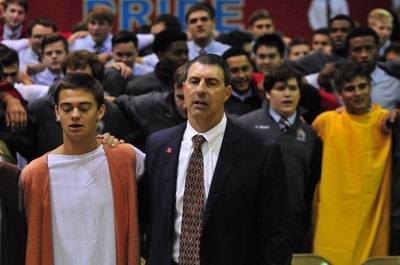 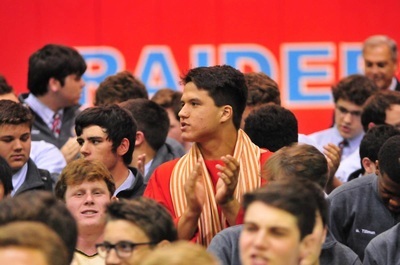 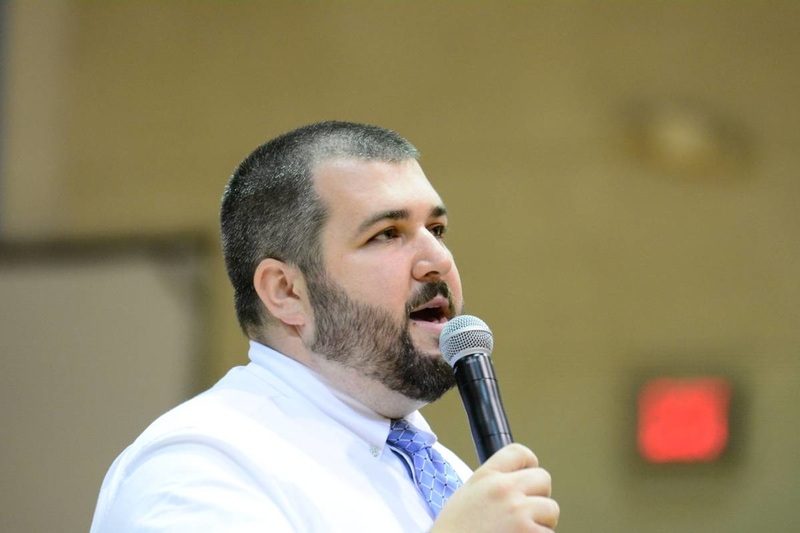 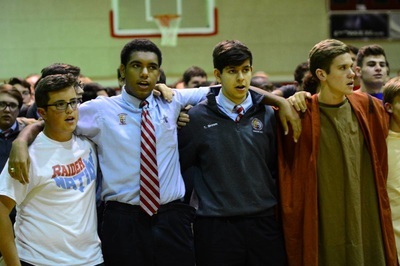 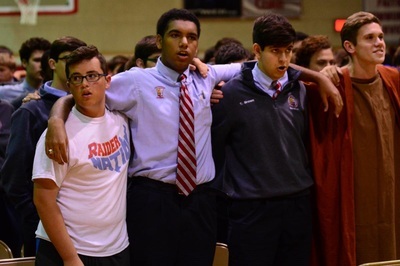 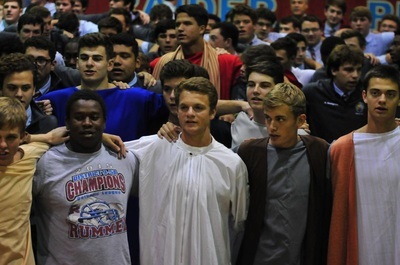 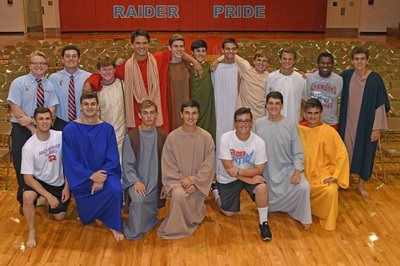 Kurt Young '05, hosted the living Rosary in the Raider Gym. 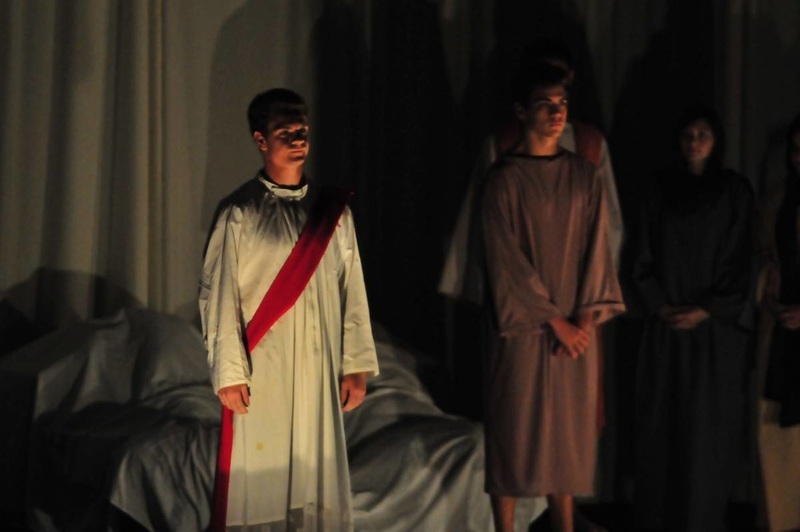 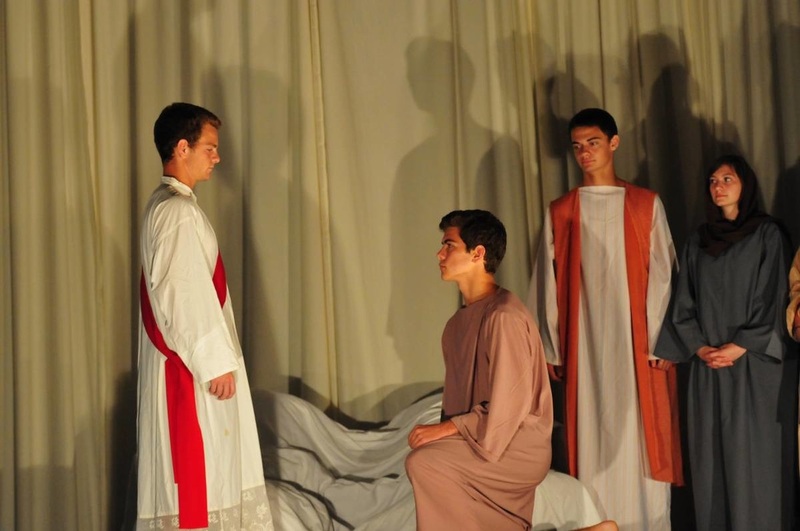 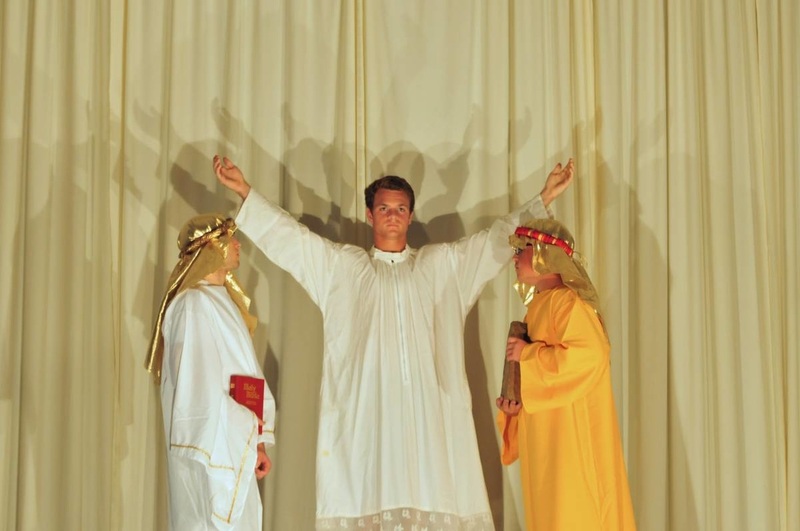 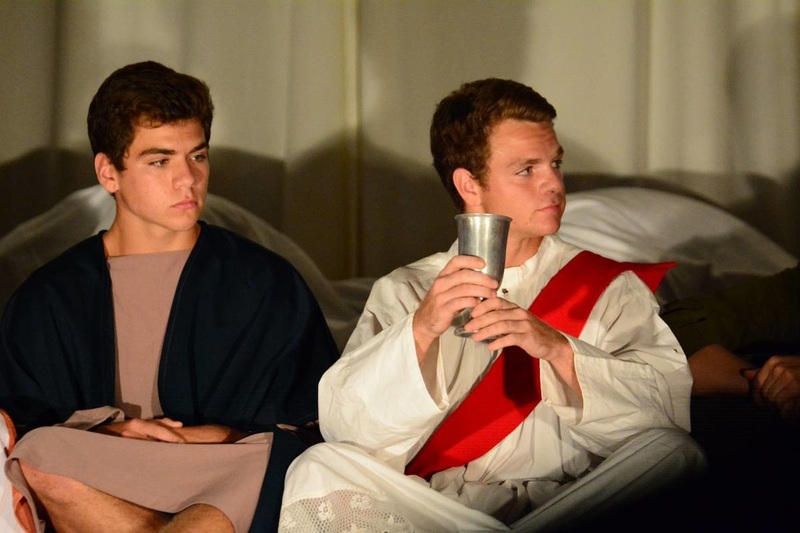 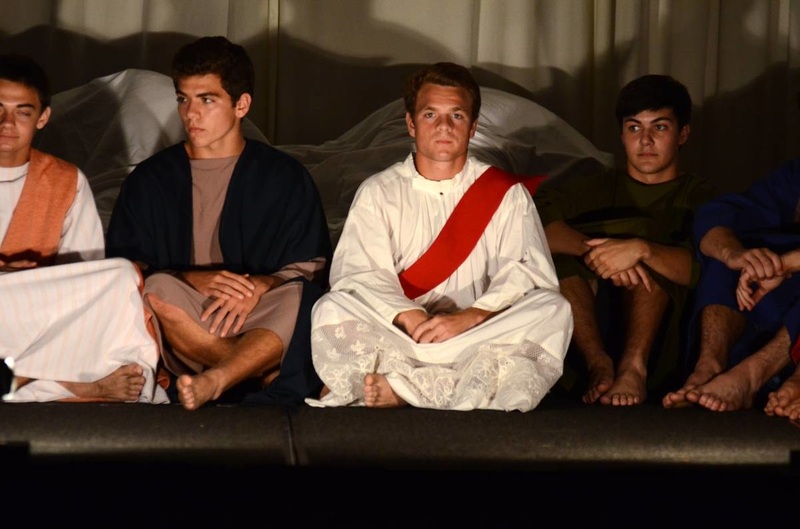 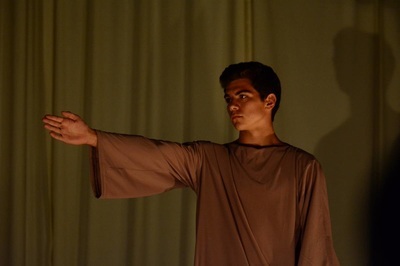 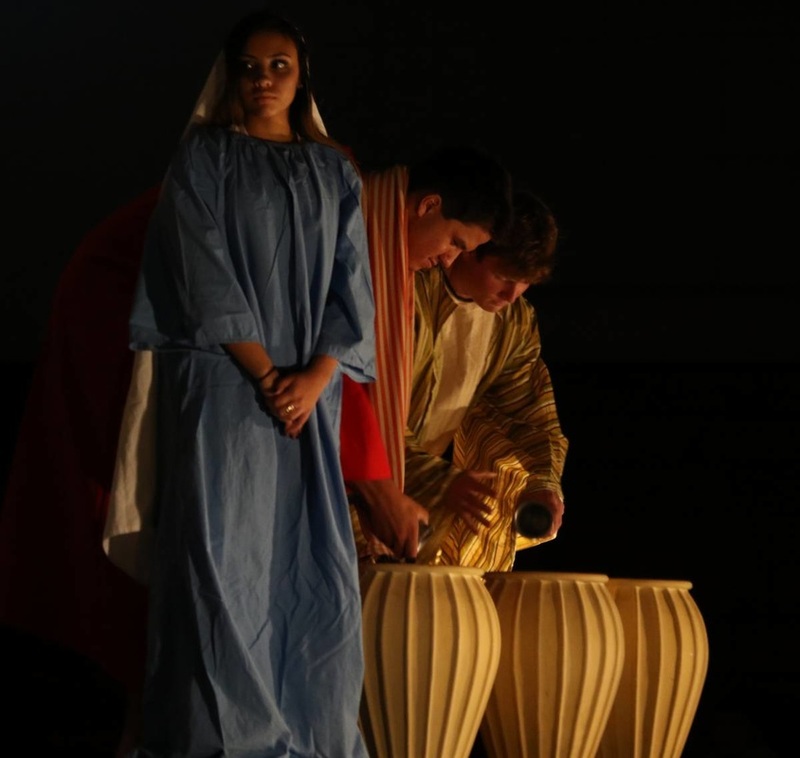 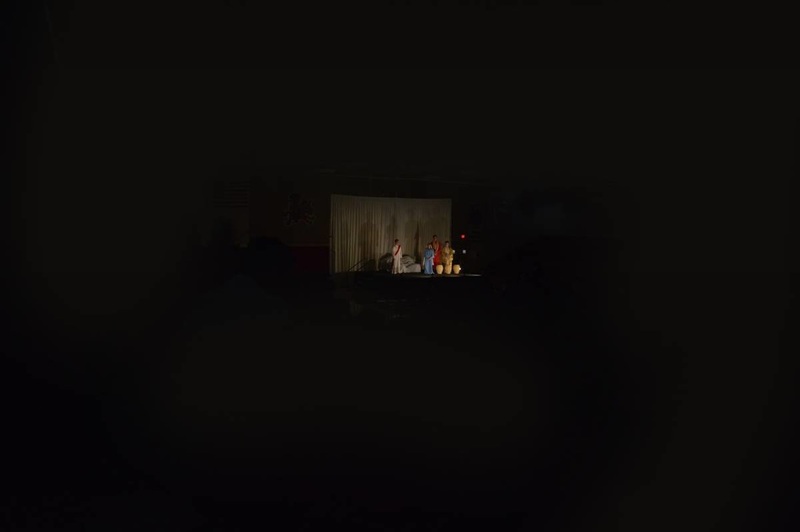 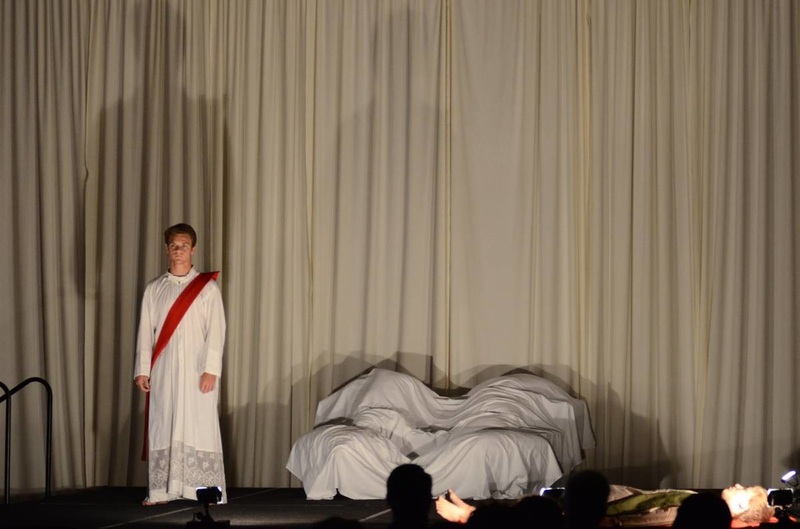 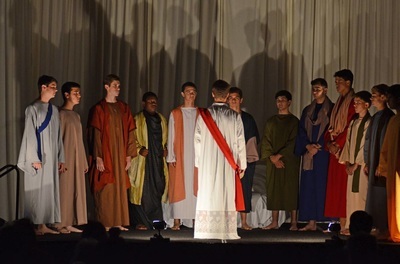 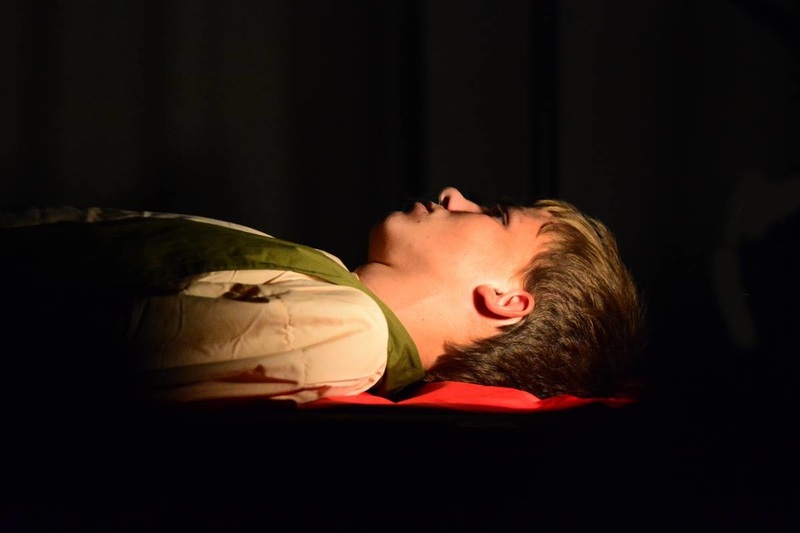 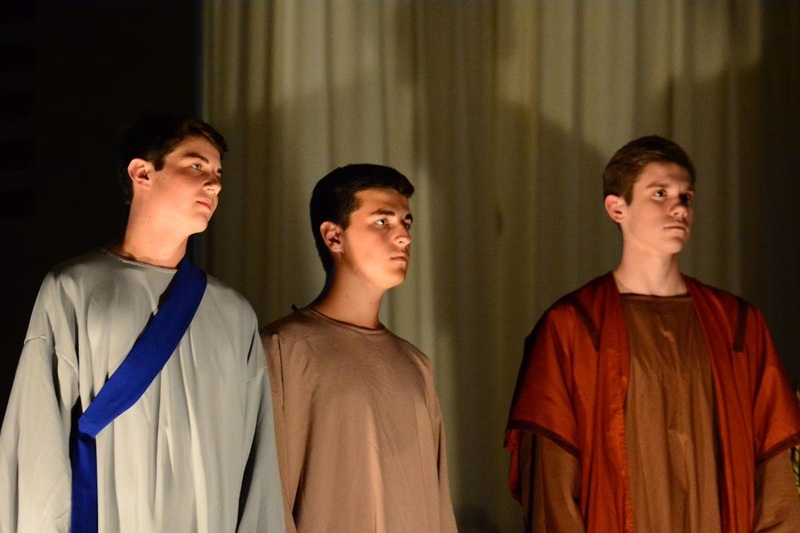 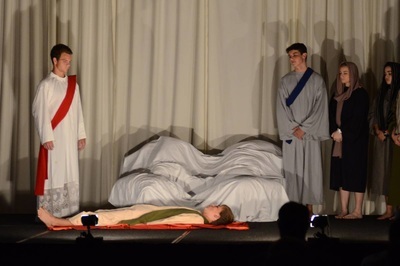 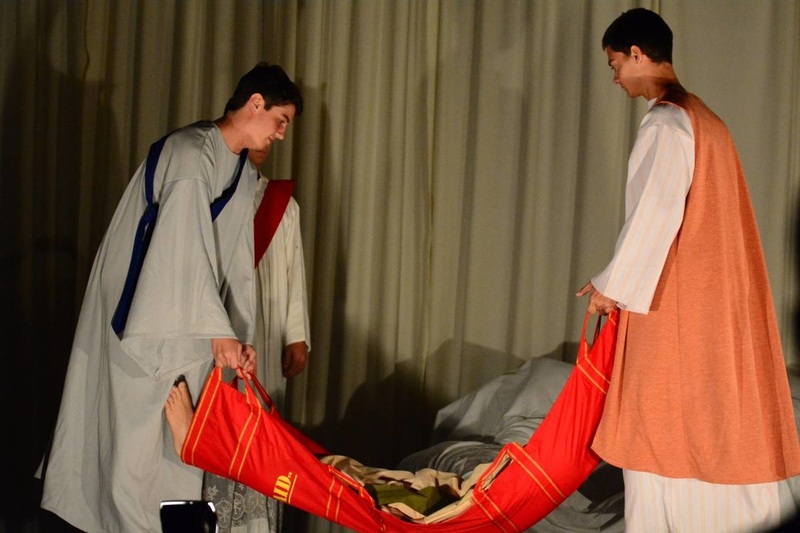 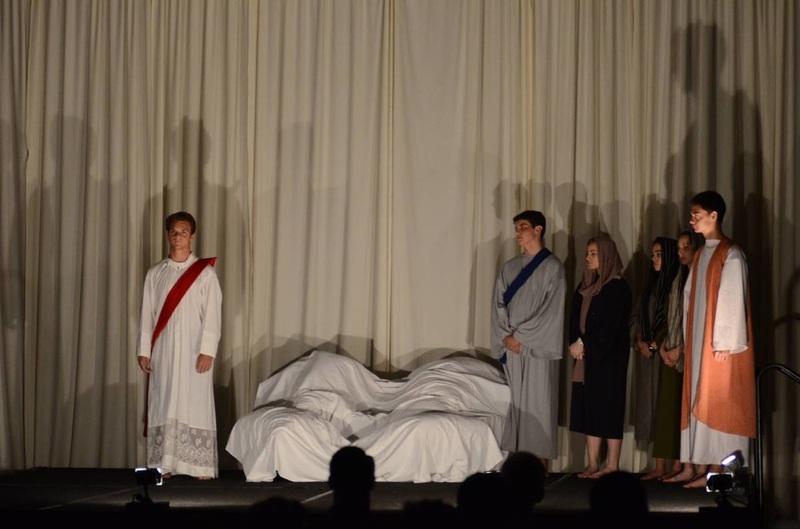 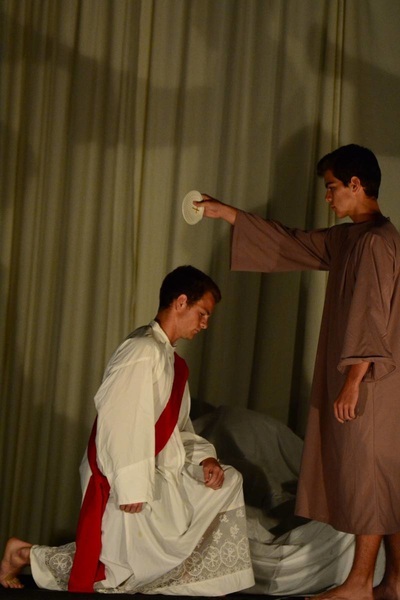 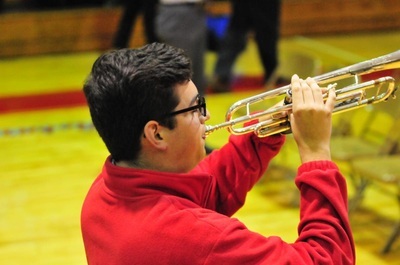 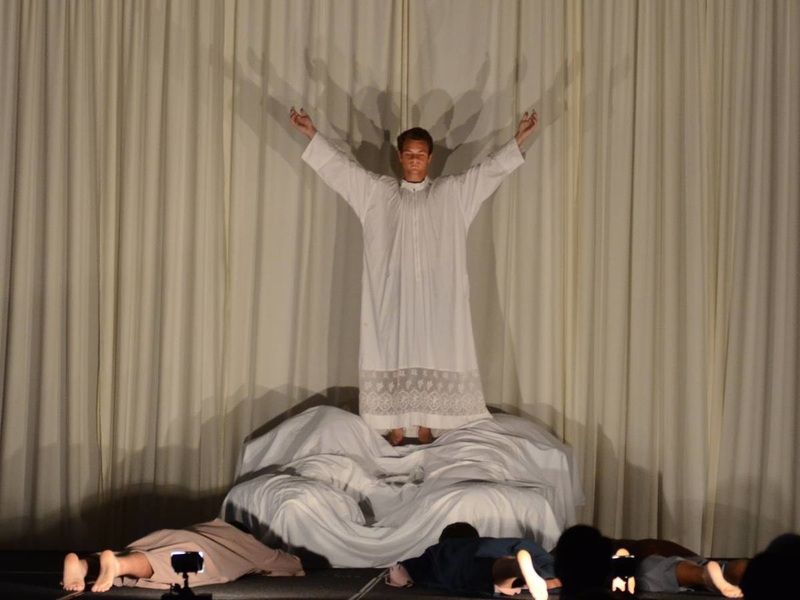 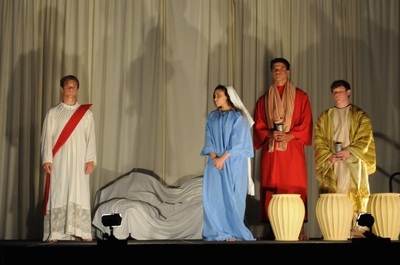 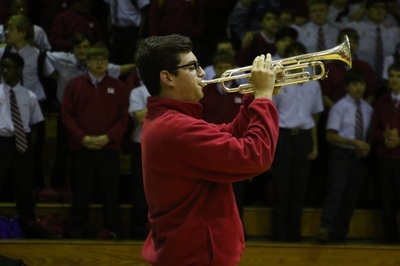 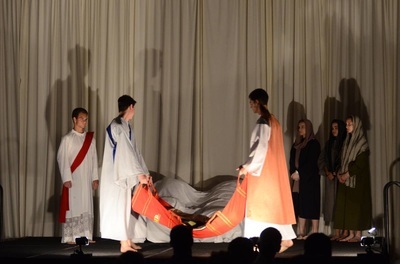 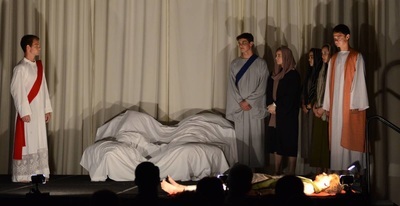 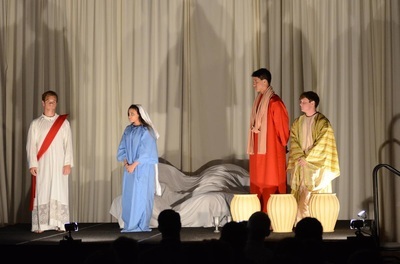 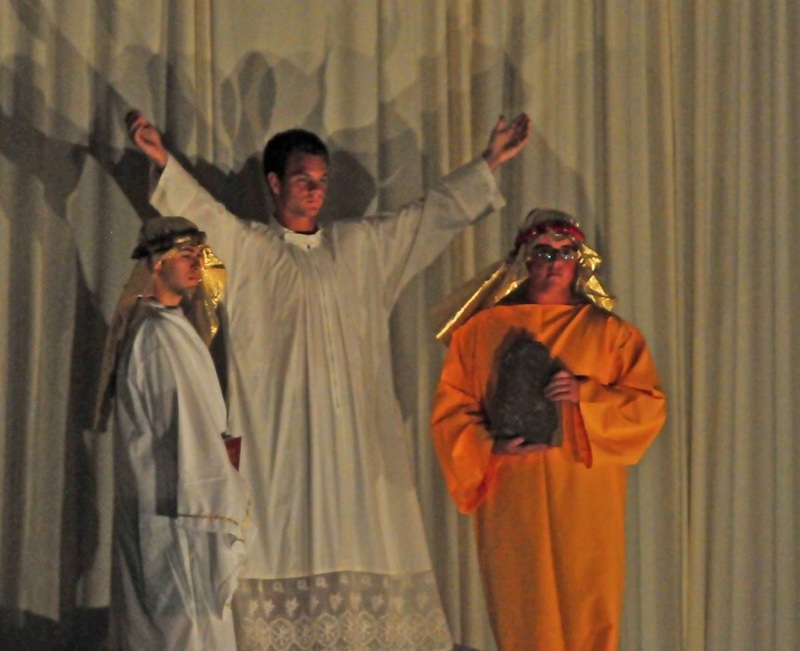 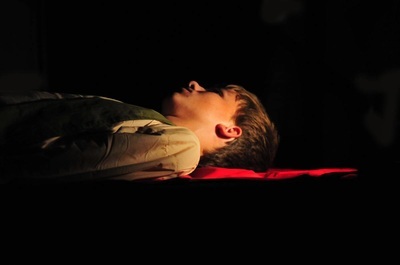 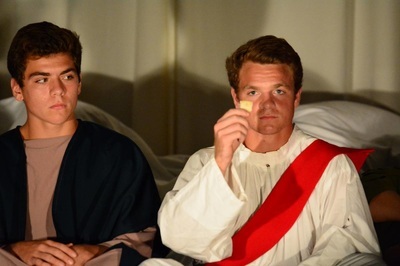 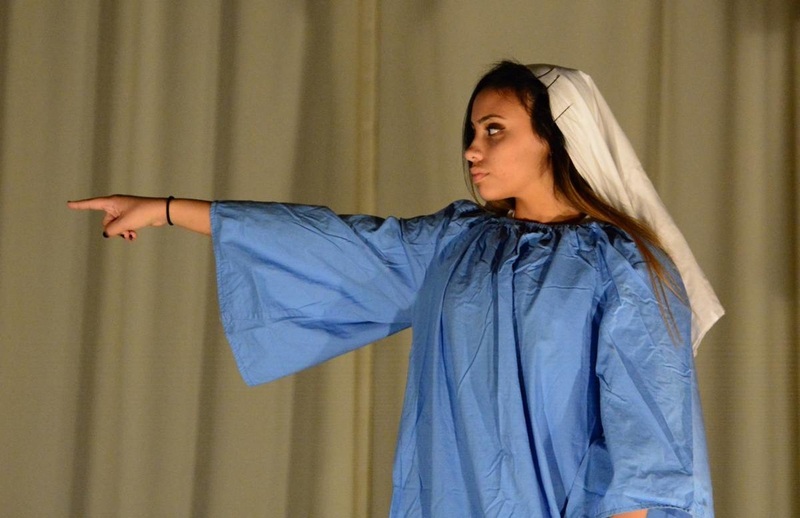 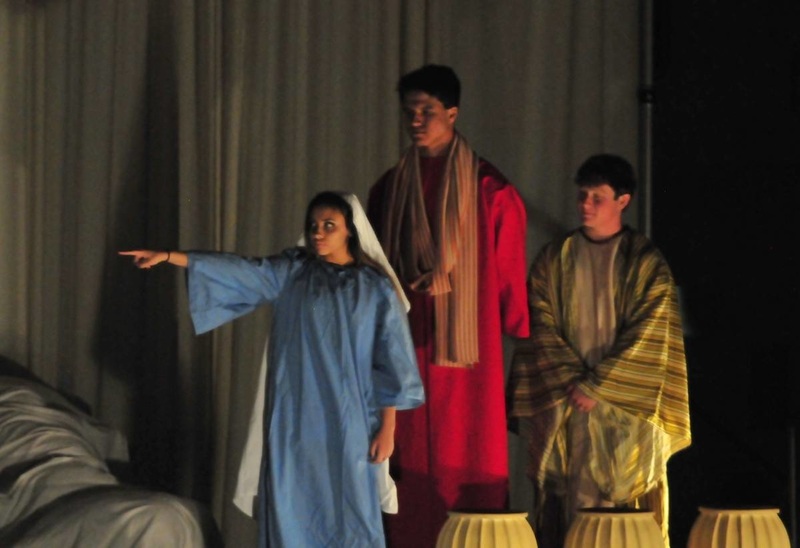 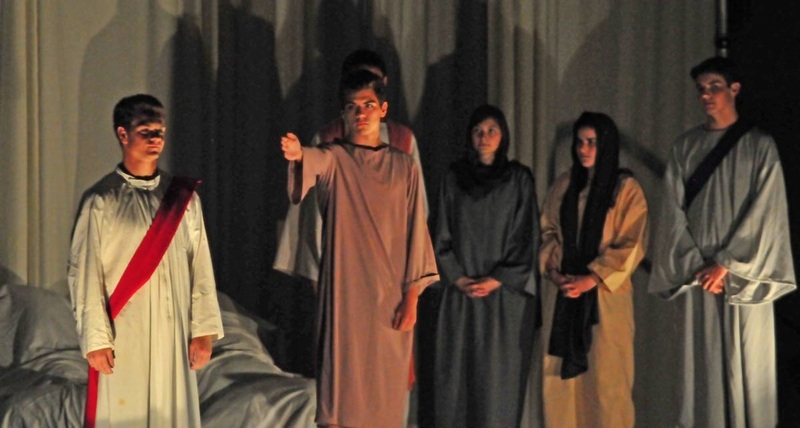 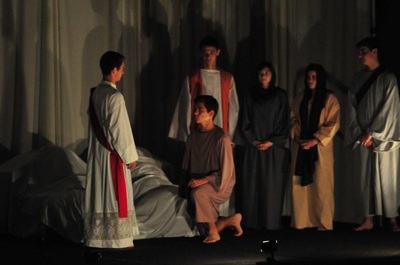 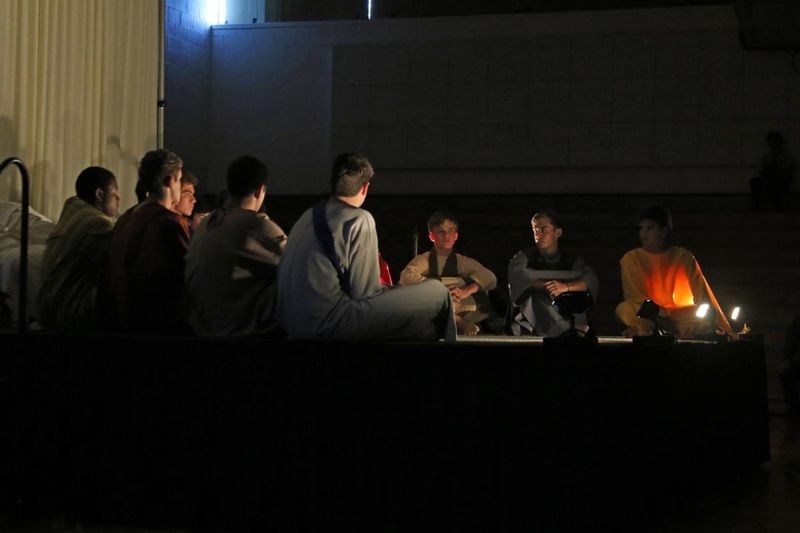 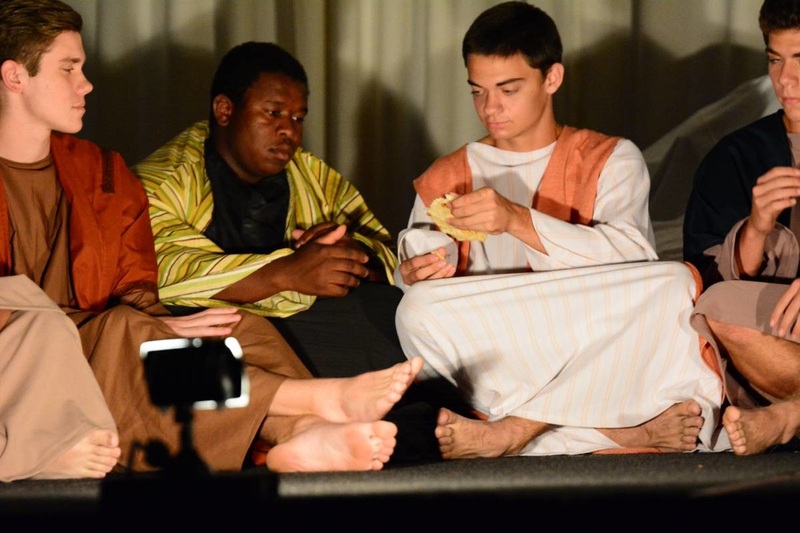 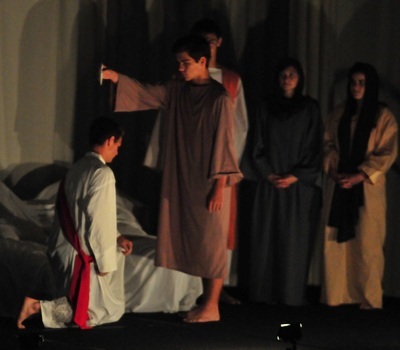 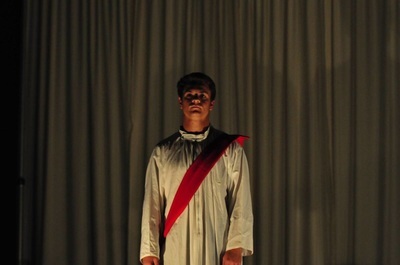 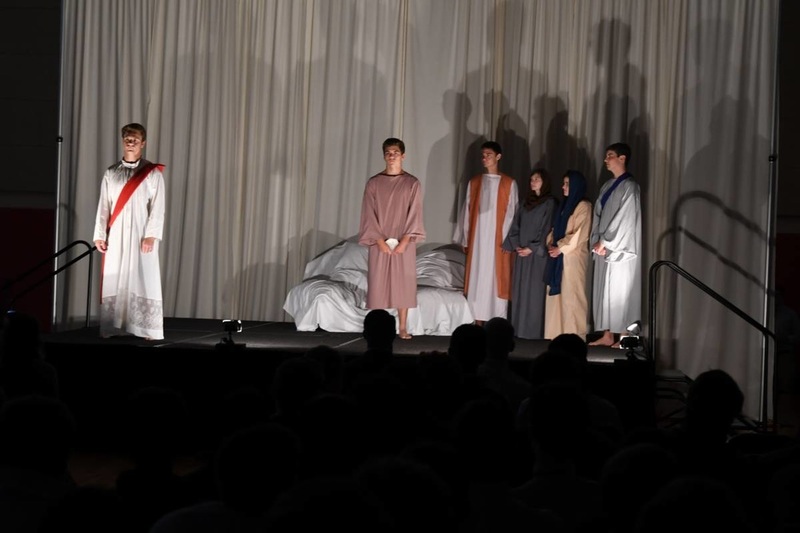 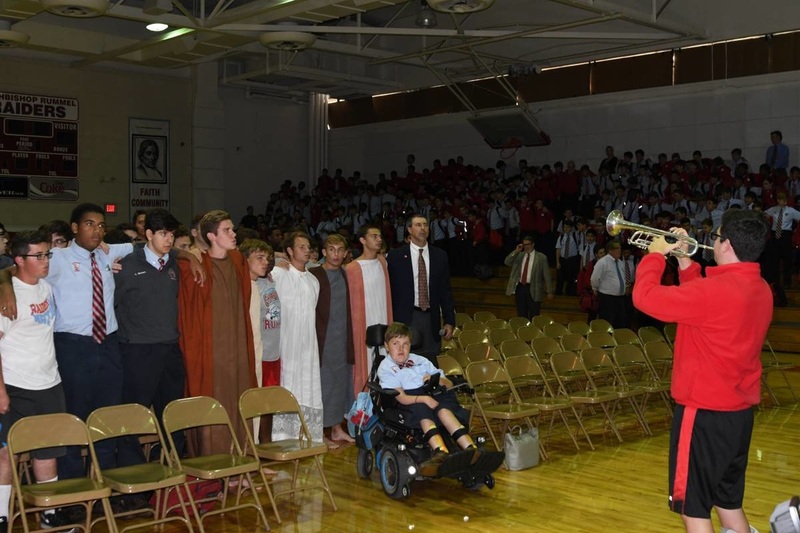 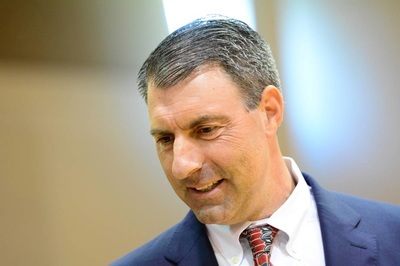 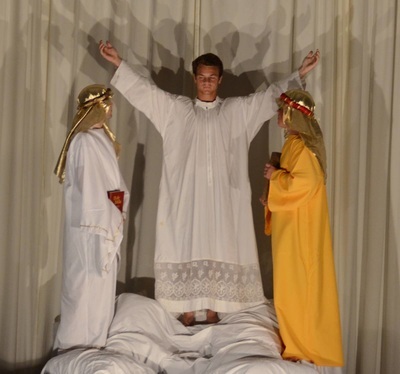 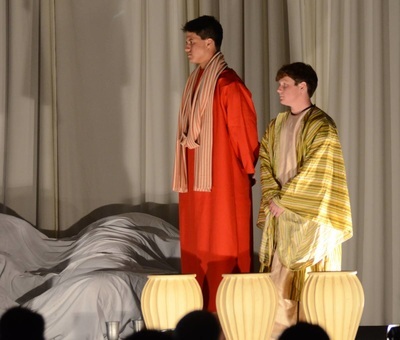 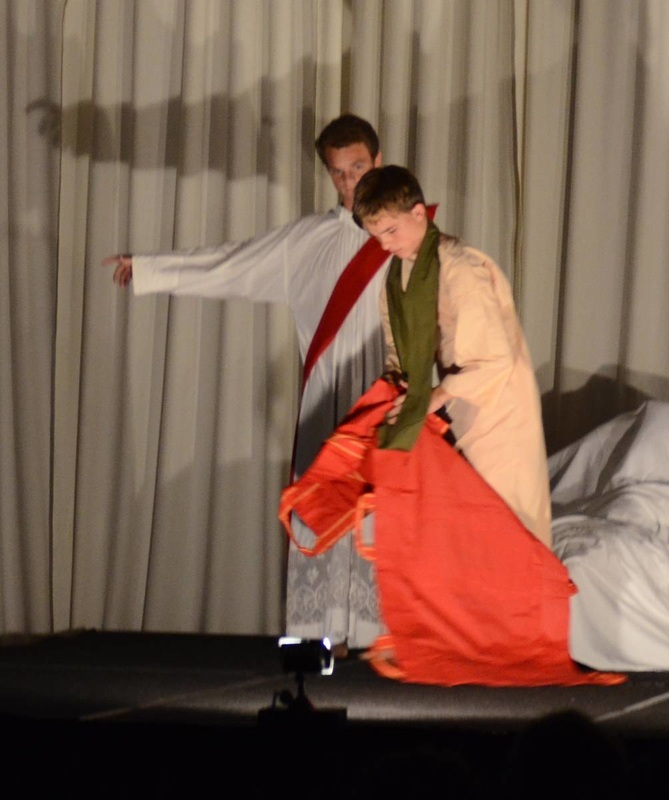 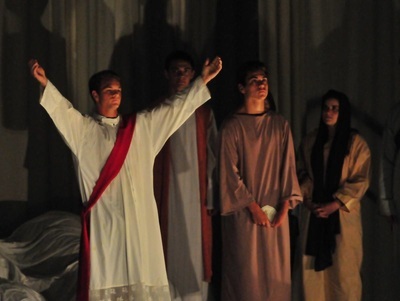 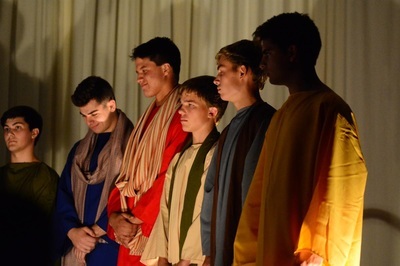 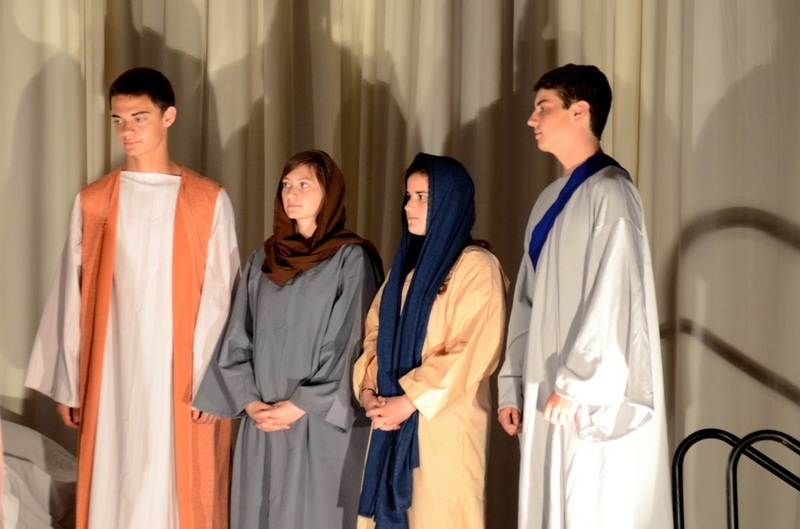 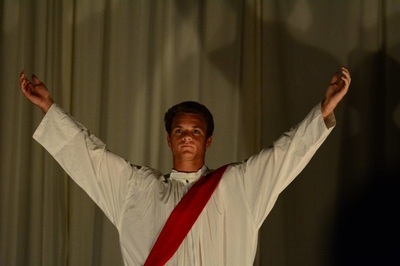 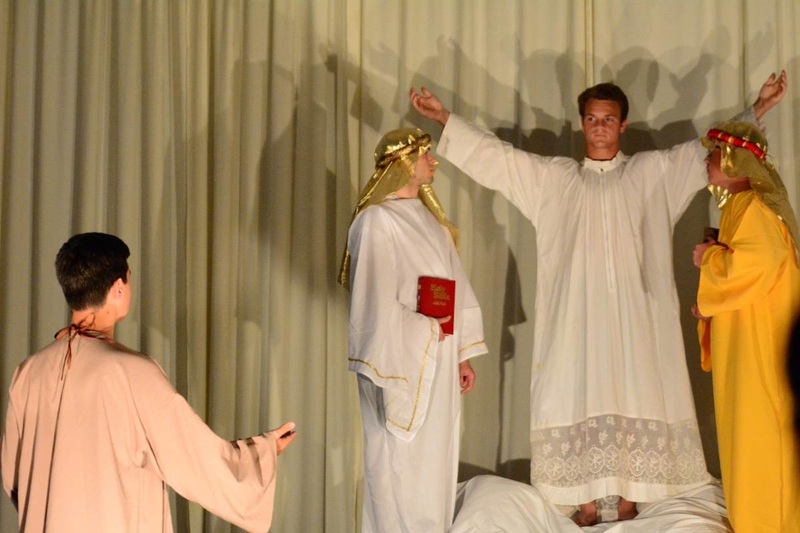 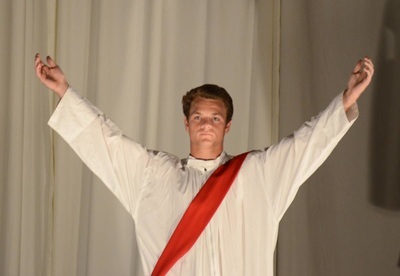 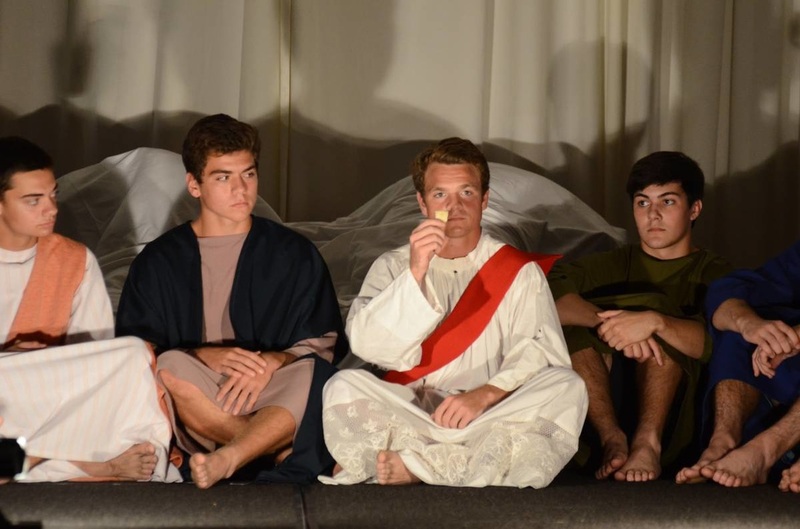 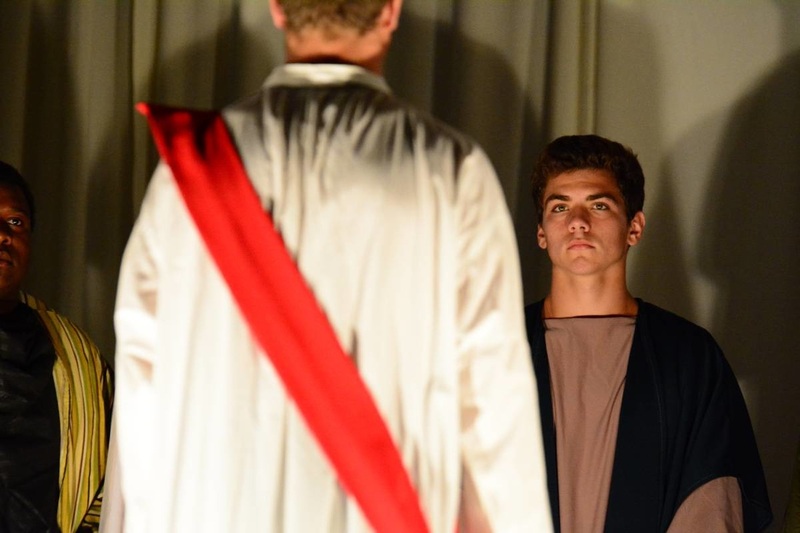 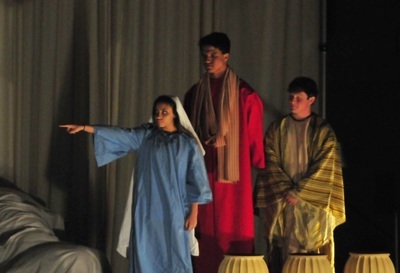 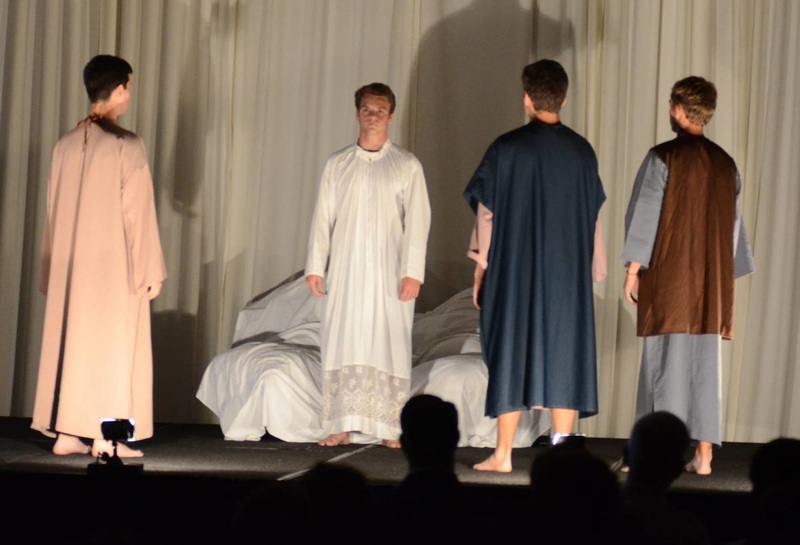 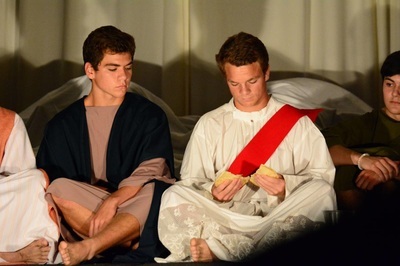 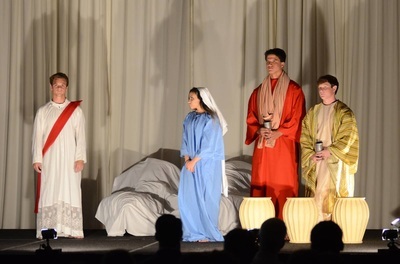 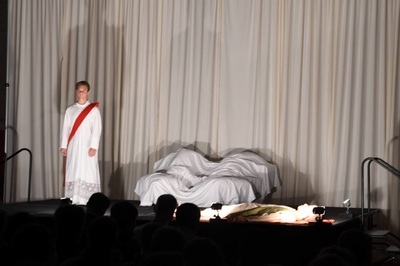 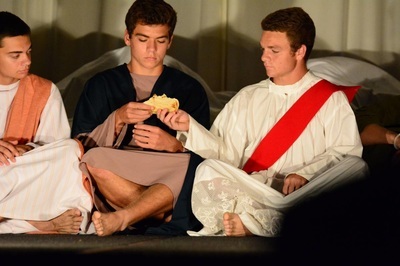 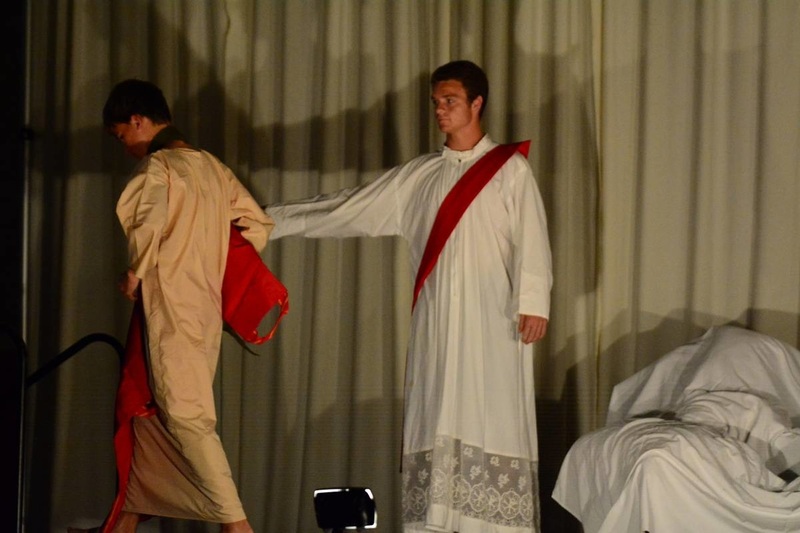 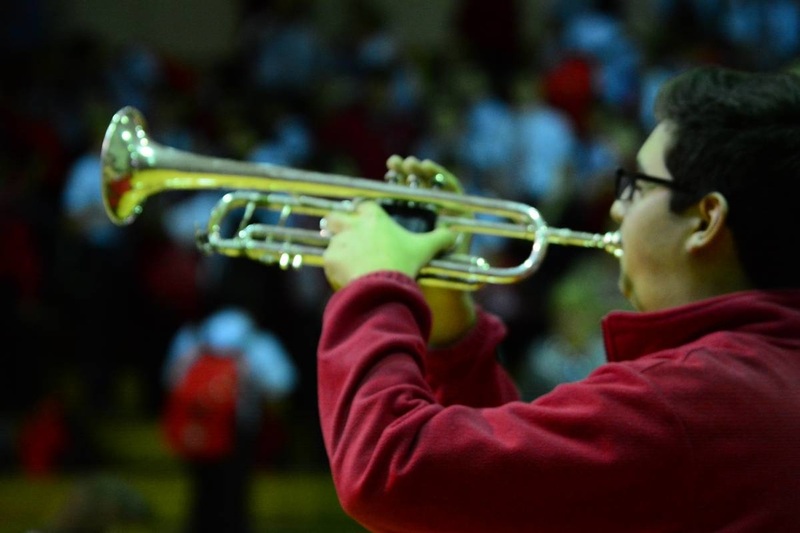 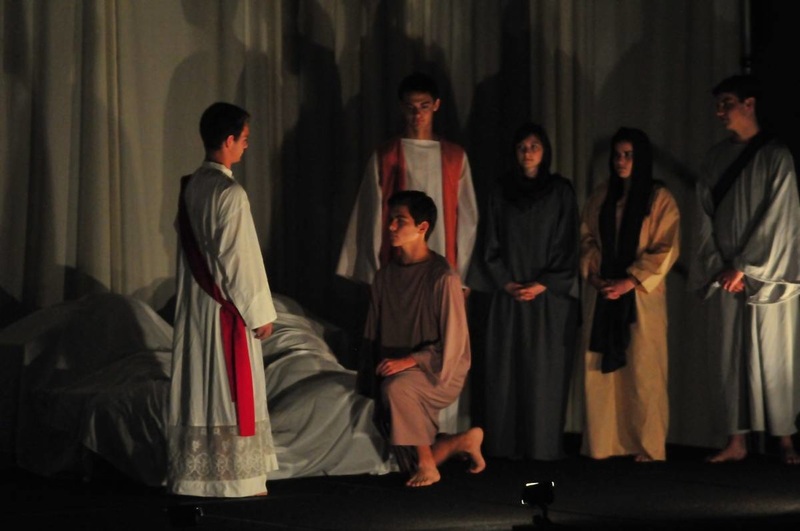 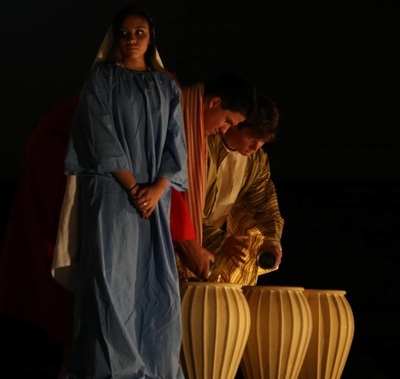 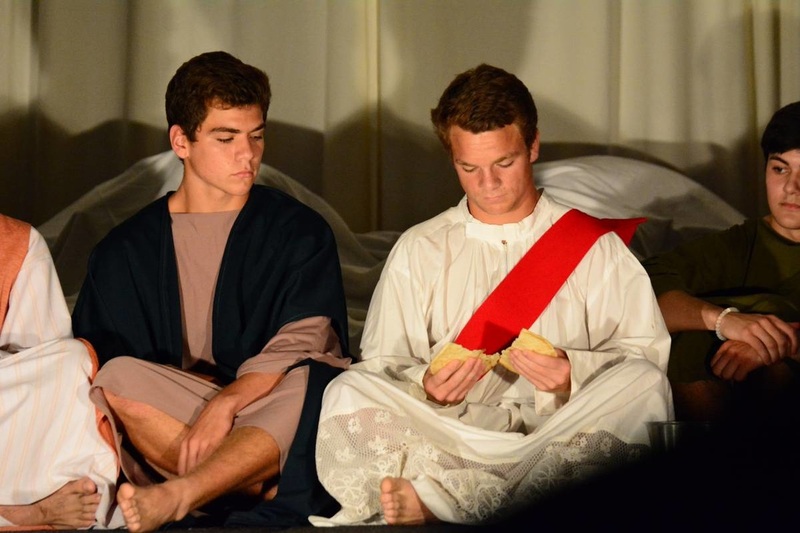 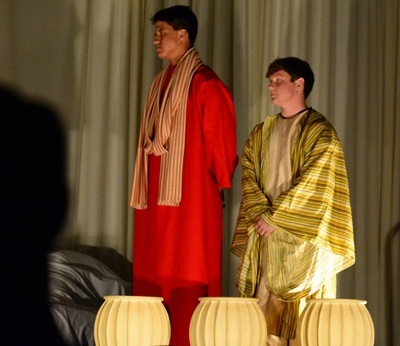 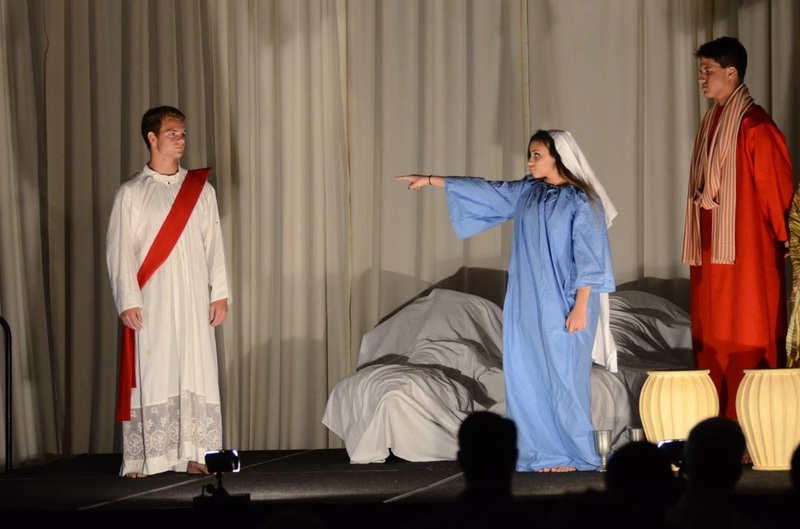 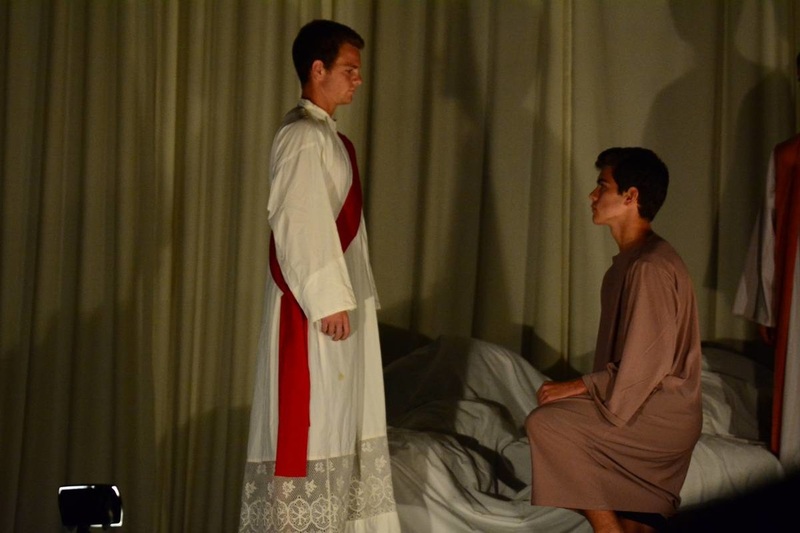 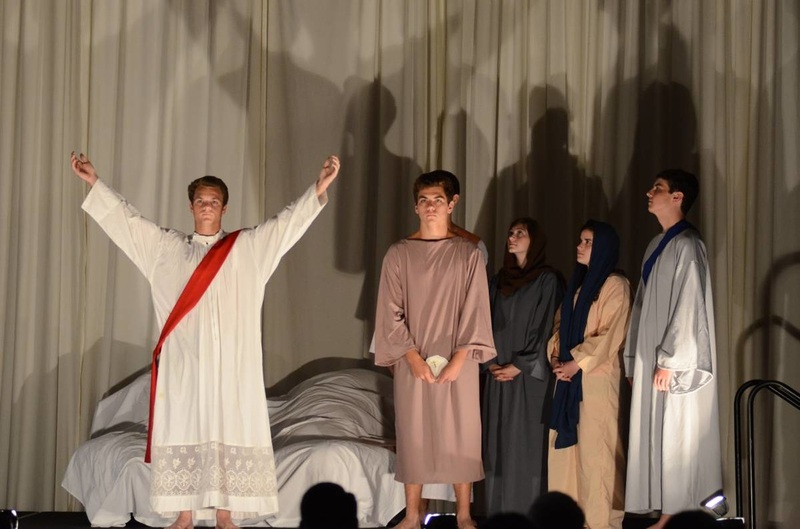 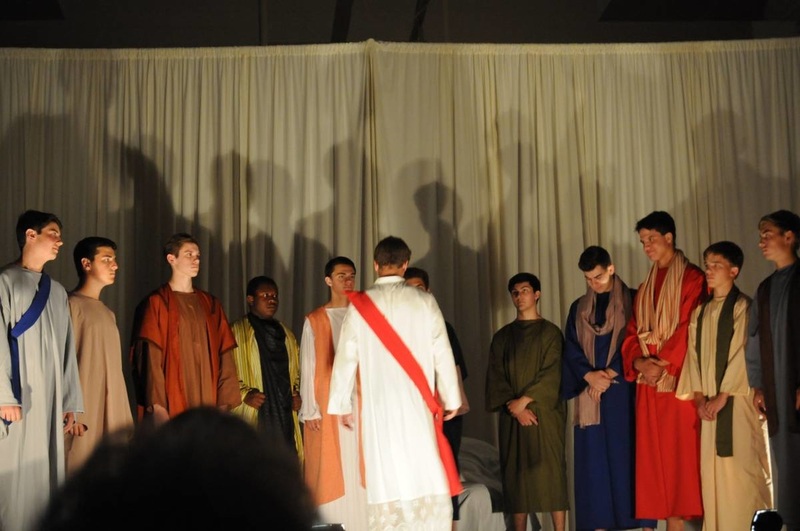 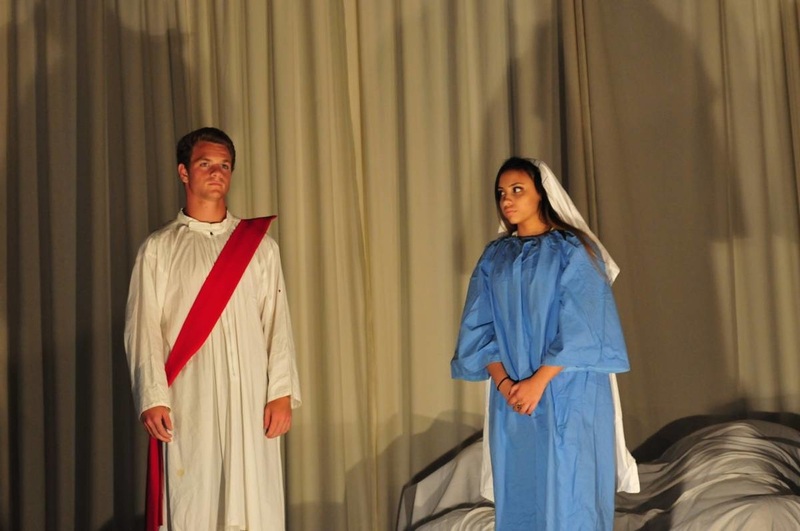 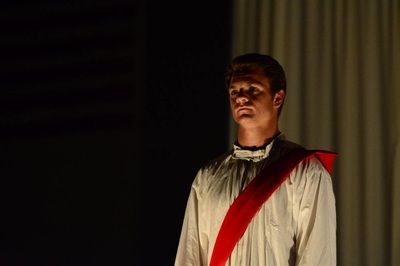 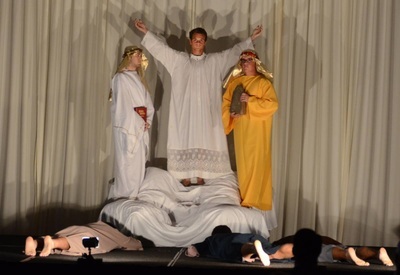 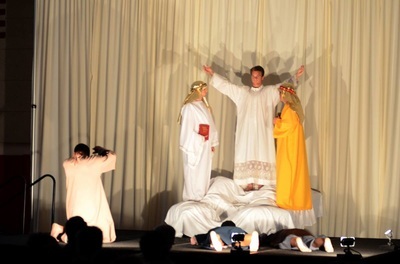 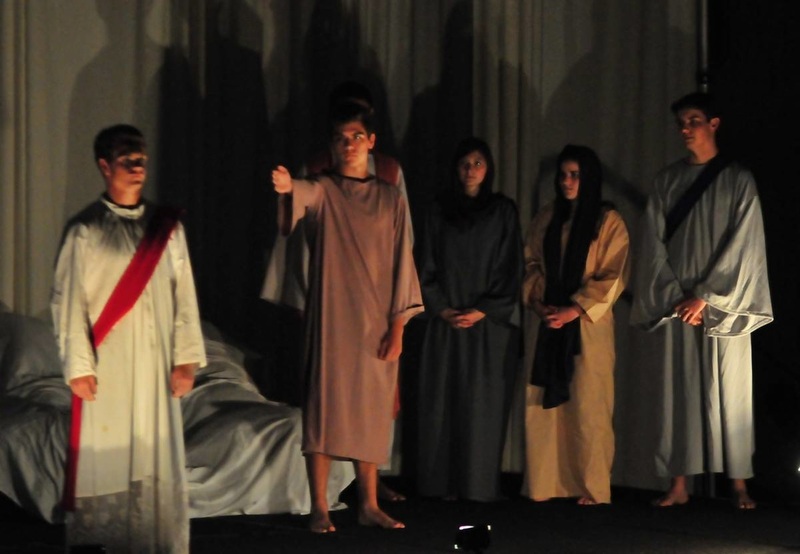 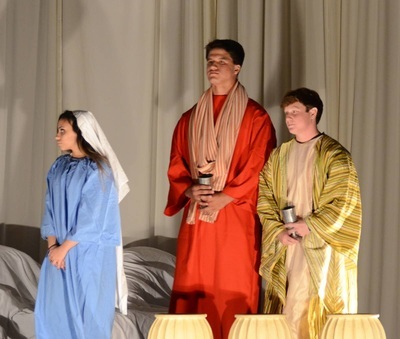 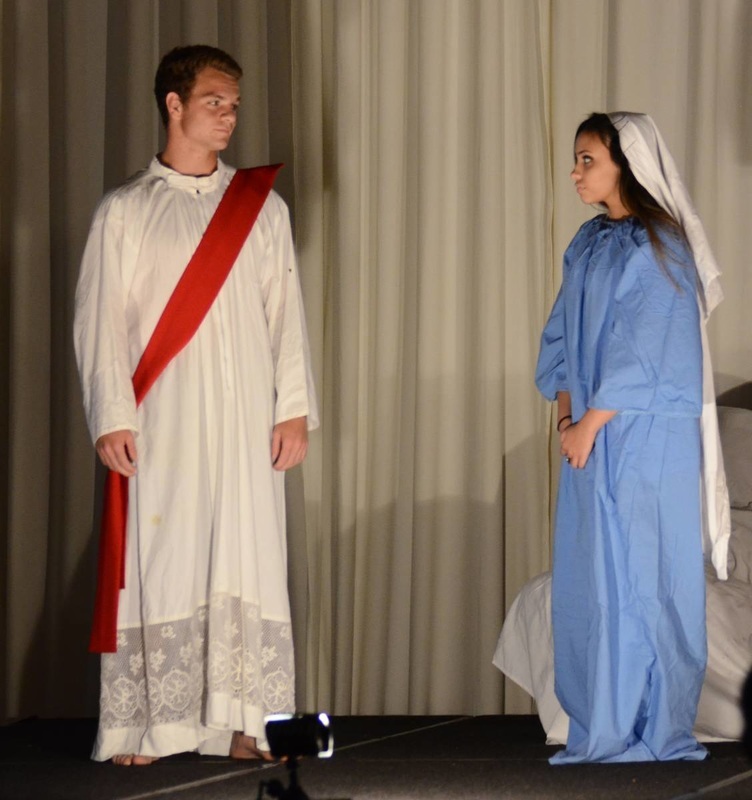 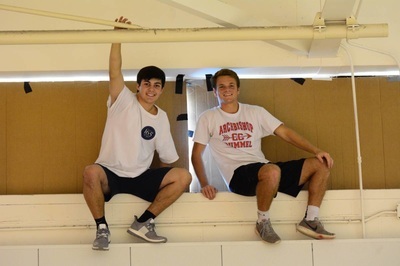 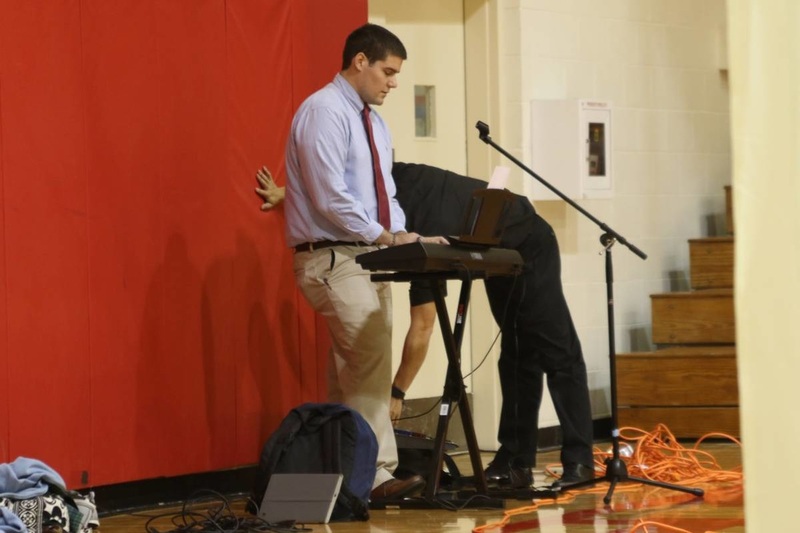 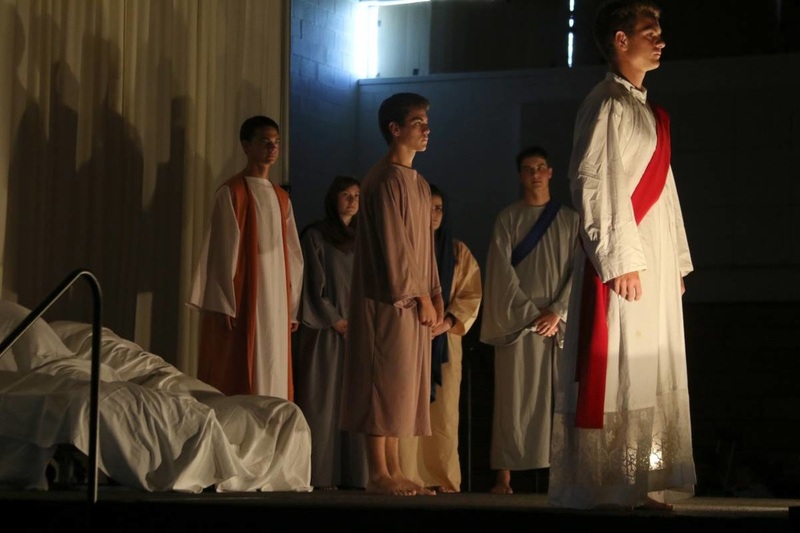 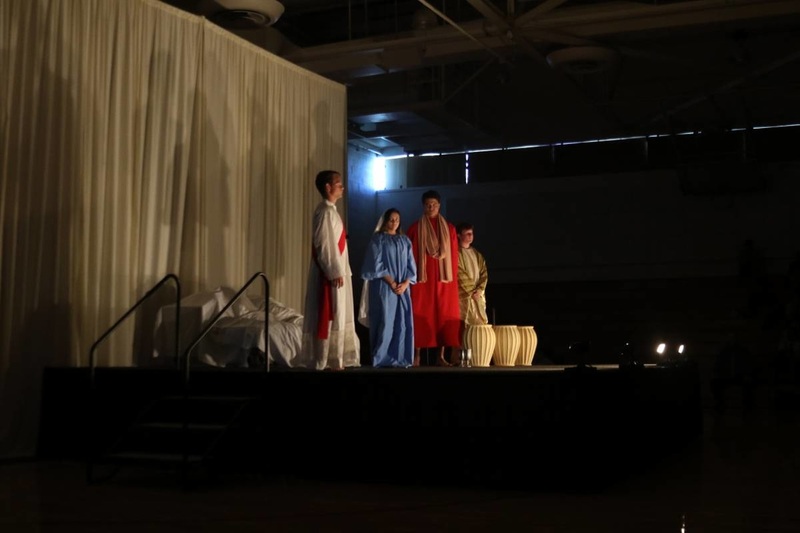 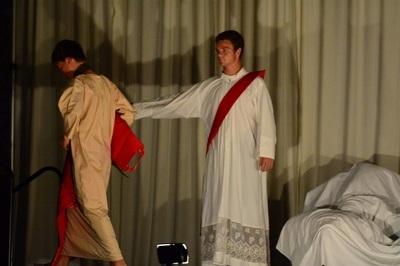 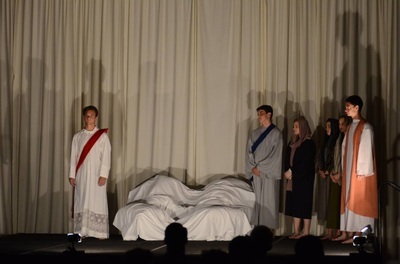 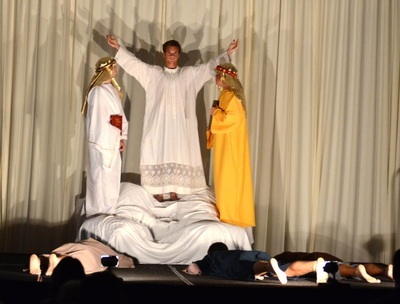 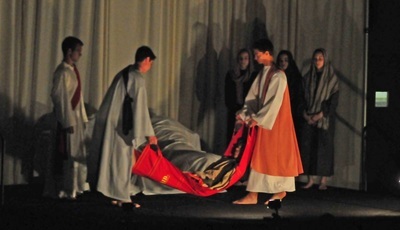 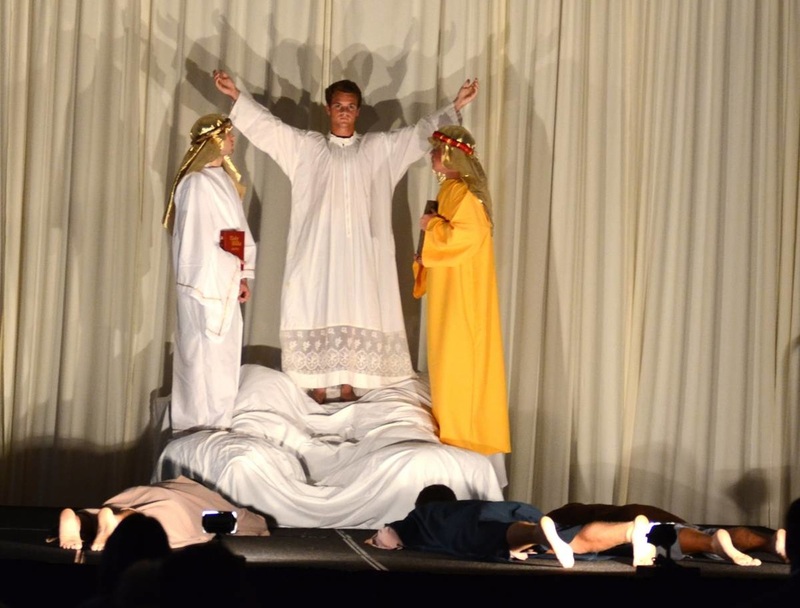 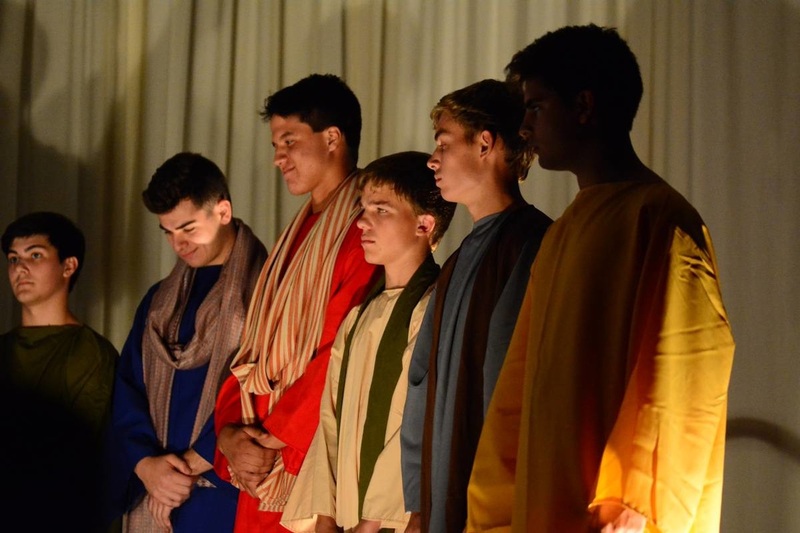 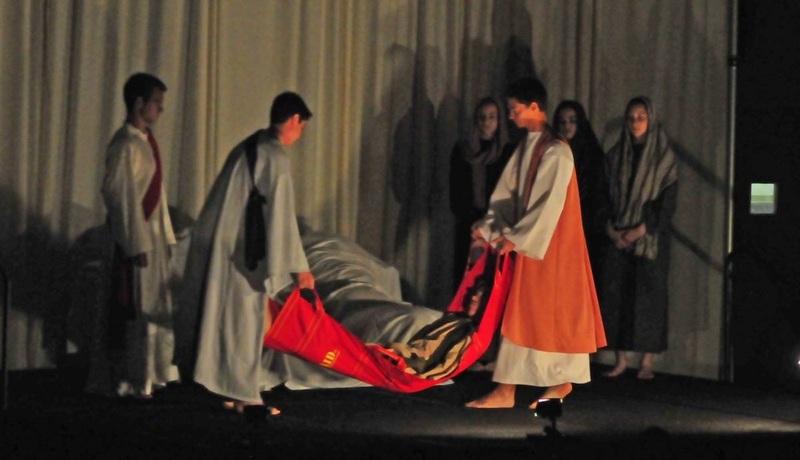 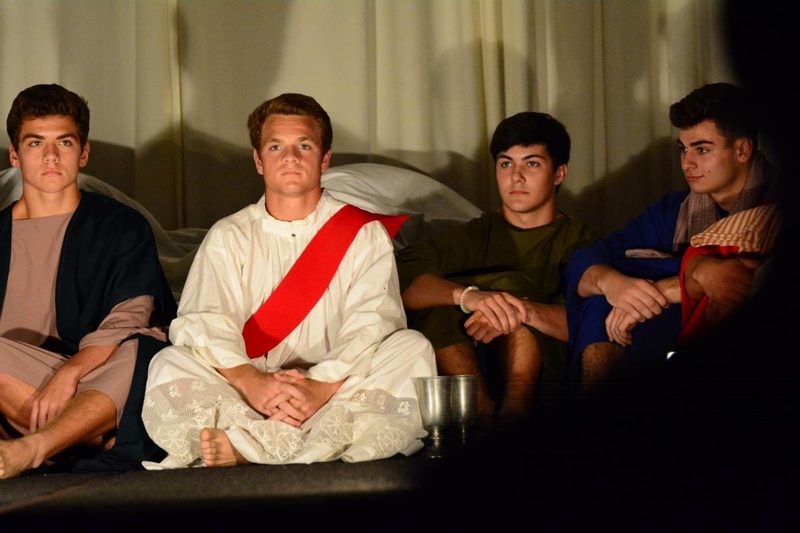 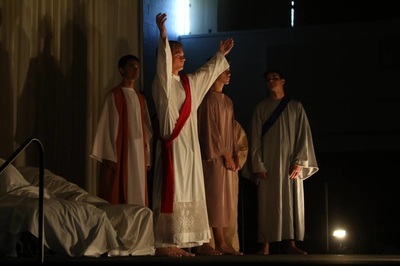 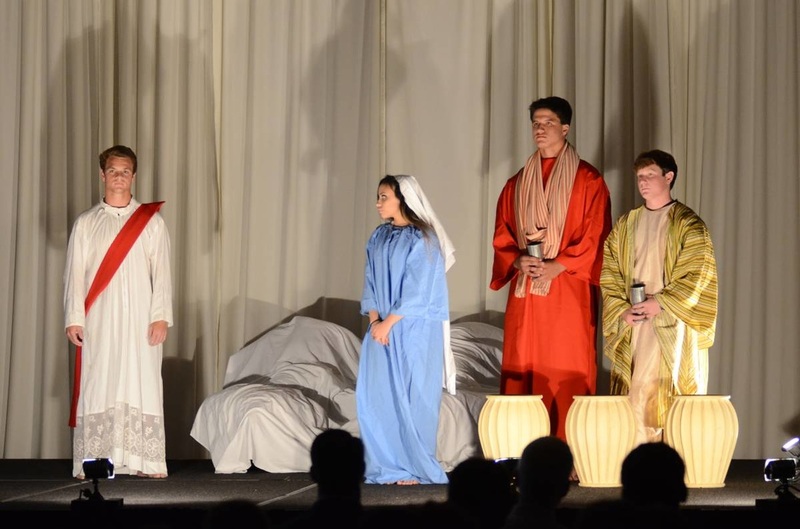 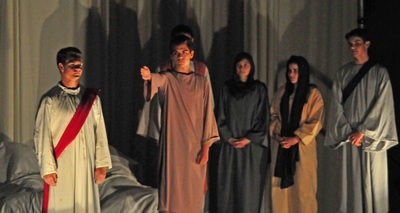 In coordination with the Archbishop Chapelle Campus Ministry Team and Campus Minister Ms. Megan Caire, the group reflected on the Luminous Mysteries as they acted the scenes out on stage for the student body.